Chuck McGrath pitched in 21 games for the Cardinals' AAA team at Louisville in 1989, starting 18 of them and posting an ERA of 3.63. The next year, McGrath signed with the Brewers, his new team hoping to use him and other new signees to shore up their upper minor league pitching staffs, The Milwaukee Journal wrote. Slowed by knee problems, however, McGrath played across three levels in 1990, including 12 outings at AAA Denver, McGrath posted an ERA of 4.37 and a record of 6-5. McGrath did not return for 1991, his career ending after seven seasons and without making the majors. Most of McGrath's career was played in the Cardinals system. He was selected by St. Louis in the 17th round of the 1983 draft out of Brown University. At Brown, McGrath played both football and baseball, becoming a second-team Division I-AA All-American at tackle. Before that, he played at the high school where his father John McGrath coached basketball. McGrath played his first year at short-season Erie, going 3-9 with a 5.49 ERA. The next three seasons he spent at single-A, at Savannah, Springfield and St. Petersburg. He also moved from starter to reliever. He posted ERAs of 3.25 and 3.44 as a starter at Savannah and Springfield. He moved to reliever in 1986 for St. Petersburg. Going into 1986, McGrath was tagged by The St. Petersburg Times as part of a suspect pitching staff. "It's going to depend on pitching and what happens in relief," St. Petersburg Manager Dave Bilas told The Times. "Right there is going to tell the tale." McGrath ended up lowering his ERA to 2.52 in 33 appearances, picking up one of two wins in a hitless July outing. He also helped St. Petersburg to the Florida State League playoffs. McGrath helped pitch the St. Pete Cardinals to a playoff win, going three innings, striking out three and giving up only one hit, The South Florida Sun Sentinel wrote. 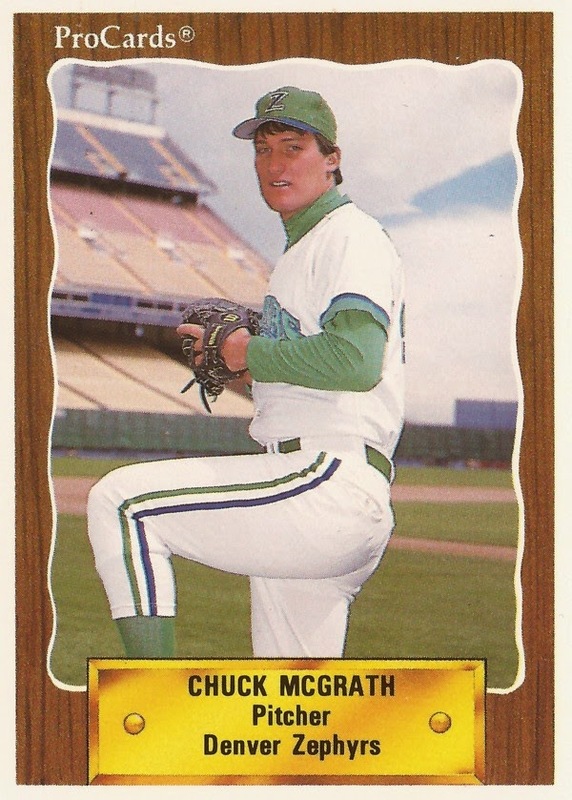 McGrath spent 1987 with AA Arkansas and then getting a one-game look AAA Louisville. Between them, McGrath went 13-6 with a 2.76 ERA. After not playing in 1988, McGrath returned to AAA Louisville in 1989, pitching in 21 games there with a 3.63 ERA. He pitched four innings of shutout relief in a July game against Columbus then eight shutout innings as a starter in early August. Signing with the Brewers for 1990, McGrath pitched one game at high-A Stockton, 13 at AA El Paso and 12 at AAA Denver, but he didn't make big league Milwaukee, his career ending short of the majors.